A team from the University of California, Irvine (UCI) and supported by the National Institute of Biomedical Imaging and Bioengineering (NIBIB) has used a new imaging technique to measure how people break down dietary fat into products the cells of their bodies can use. The technique is a cost effective and convenient way to image this critical process—also called fat metabolism—and provides a way to test interventions aimed at reducing cardiovascular disease, diabetes, and the increased risk of heart attack and stroke that can be caused by metabolic syndrome. 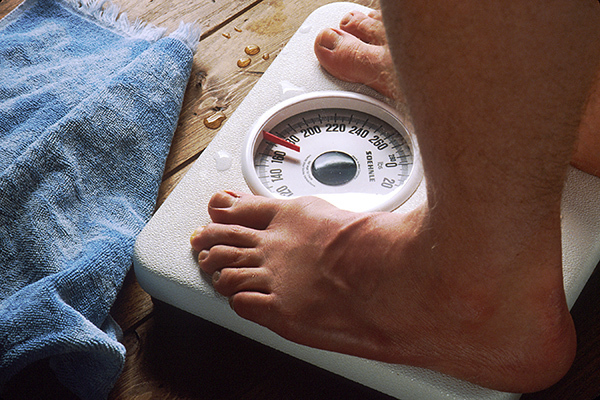 Clinicians currently use a variety of less-than-ideal techniques to measure fat levels in patients. One common measure is the body mass index (BMI), a ratio of height to weight—but it can’t account for differences between muscle and fat. They can observe fat via magnetic resonance imaging (MRI) or ultrasound—but neither method can determine activity levels within the tissue. Until now, it has not been easy to measure metabolically active fat, which consumes more oxygen and has more mitochondrial activity, and is associated with better health outcomes. 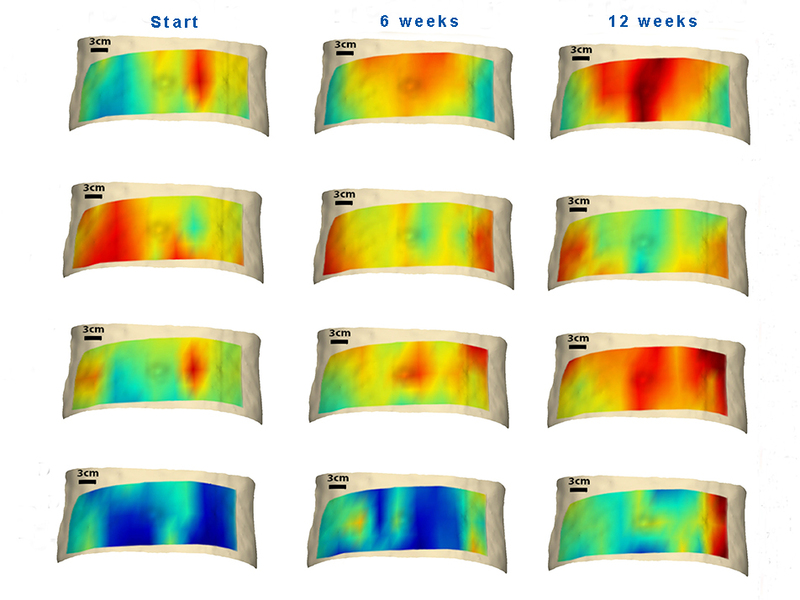 Now the UCI team has shown that both the composition and metabolism of fat tissue can be measured using diffuse optical spectroscopic imaging (DOSI). The technology uses near infrared light to penetrate tissue and measure the concentrations of various molecules, like hemoglobin, water, and lipids, such as fat. In their study, published online April 22, 2016 in the International Journal of Obesity, the researchers enrolled 10 overweight people who followed a calorie-restricted diet for 12 weeks. At the beginning, middle, and end of the 12 weeks, the researchers used DOSI to assess two measures: tissue scattering, which indicates change in cell volume due to the way particles within and between cells scatter light, and fluid absorption. Over the 12-week course of the dieting study, tissue scattering indicated that cellular particles shrank in size and increased in density, or how tightly they are compacted. The fat cells got smaller while the organelles within them, like the mitochondria, became more activated. The absorption signatures revealed an increase in the rates of metabolism, hydration, blood volume, and delivery of blood to the tissue area. DOSI is both inexpensive and easy to offer patients; it’s similar to performing an ultrasound. Because of this, individuals could be easily monitored over time to guage the effects of different interventions. NIH support for the research included a funding from NIBIB (EB015890), and an NIH clinical translational science award (TR000153) and a training grant (TR000153).